Let’s time travel back to the 1950s and take a look at today’s Vintage Dope. These are plain toe 1950s inspired ET Wright Arch Preservers ventilated spectator mens dress shoes that I came across on etsy.com. 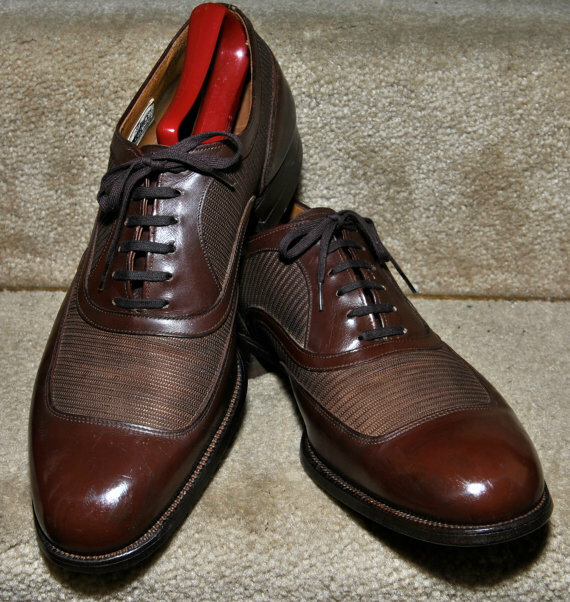 This entry was posted in Vintage Dope and tagged Charlotte Style, mens vintage dress shoes, plain toe shoes, spectator dress shoes, Vintage Dope, Wilbur Dow by wilburdow. Bookmark the permalink.